The long awaited ASUS Transformer Pad Infinity TF700 is finally available for purchase. 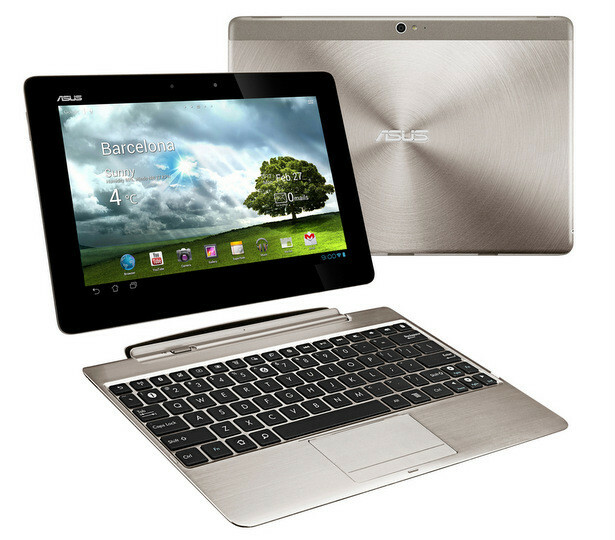 The Pad Infinity maintains the slim and stylish look of its predecessor, the ASUS Transformer Prime along with its multipurpose functions. The 64GB model of the Pad Infinity available for $599.99 at Best Buy. The Transformer Pad Infinity takes over from the Transformer Prime as the top Android tablet available, and offers a complete package mixing high performance and style. After going through the FCC, it has finally made it on the available list. Just to refresh, the Pad Infinity features a 10.1 inch, 1920 x 1200 Super IPS+ display running on Android 4.0 Ice Cream Sandwich. It houses a 1.6GHz quad-core NVIDIA Tegra 3 processor and 1GB of DDR3 RAM along with an 8MP rear camera and a 2MP front facing camera. The 8MP camera comes upgraded with wider aperture for low-light shooting and the camera software has also been updated. Other specs include Bluetooth 4.0, micro HDMI, micro SD, a propriety connector, Wi-Fi 802.11 b/g/n and the keyboard dock which comes with USB ports and a built-in battery for extra mileage. Without the dock, the Pad Infinity offers around 8 hours of battery life. The tablet weighs around 1.29 pounds and measures 0.33 inches in depth. Overall, the ASUS Transformer Pad Infinity comes with a resolution that matches that of the new iPad in sharpness and clarity, and it offers faster app launch and the best camera among all other Android tablets. Although the product page at Best Buy has listed the Pad Infinity currently as "Sold out online", at least the price has been known: $599.99 for the 64GB Transformer Pad Infinity TF700.